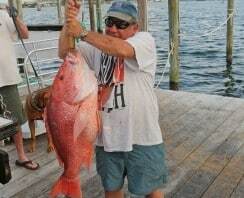 Overnight Trips | Destin FL Fishing Charters - No Alibi Charter Boat Red Snapper, Shark, Cobia, Grouper & More! Want to get serious? 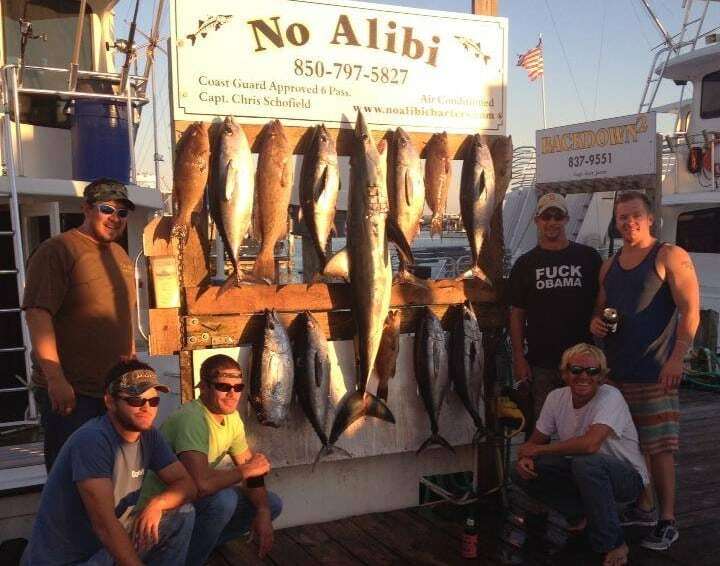 For the past 9 years, the captain and crew of the No Alibi has been offering long range 24, 36, and 48 hour bottom or blue water charters. No cell phones, no email, no honey do’s, just you, your friends, and some of the greatest fishing opportunities anywhere! Though there are no set days or set times, what has been the most successful in the past is departing on Friday afternoon and returning either Saturday or Sunday afternoon. The reason for leaving in the afternoon… travel time. 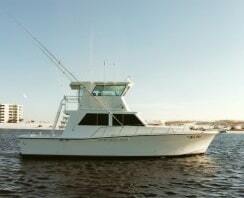 On many of these overnight fishing trips in the past, we have traveled 70, 80 even 100 miles one way! Departing in the afternoon allows you to start fishing first thing the next morning. This is serious fishing at the highest level. Whether you want to go pound the bottom for 2 days or head offshore to try your luck with blue marlin, broad bill swordfish, tuna and dolphin, we are time tested and proven. 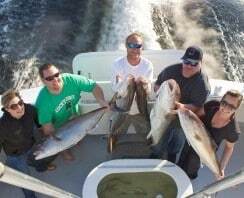 If you think you have interest in this level of fishing, we encourage you to call Captain Chris directly at (850) 797-5827 as there is a lot of information involved in planning one of these trips. Due to the amount of preparation involved, we need a minimum of 3 days notice. 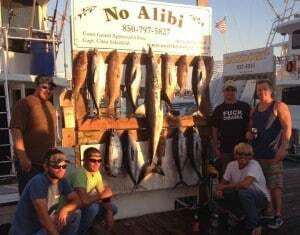 Over the past 9 years we have fished multiple groups on these trips. Please feel free to call for referrals.